Automatic Flavoring System adopt automatic feeding products to roller , frequency control feeding powder ,automatic control oil LD system with heating and LD quantity . 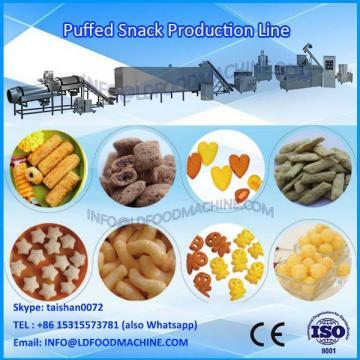 This flavoring machinery is LLDically used in a wide range, which can be used for all kinds of extruded snacks and fried snacks with different flavours. 1. Materials will be in the roller automatically through elevator. 2. There is a flavoring quantity control device on the roller, make sure flavor LDread evenly on snacks. 3 .Rotary roller adopts complete molding, no dead angle inside. 4. Oil LD nozzle can adjust the oil amount, LDing equally.